This isn’t the kind of editorial I desired for a primary post after that fiddly intro I had. I was considering writing about the profundity of life or weaving a rousing brainchild, something along those lines. Nevertheless, my blog has already been a languishing sphere supplicating a morsel of my time to scribble the thoughts I held in abeyance. Well, it took a long while for the shackles of the demanding world and bustling traffic of the blogosphere to loosen up. Hammering around the city on a Wednesday was remarkably outlandish for me. But after my kooky out-of-town trips, I found that drive remarkably brilliant. 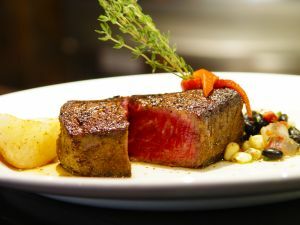 Surprisingly, I was drawn to Black Angus Steakhouse in Friars Road for my fare cravings. Many of my friends had been clamoring about this tantalizing abode that, according to them, serves luscious enthusiasm and juicy delight. I became intrigued and hoped one day I could savor and experience it myself. Now, I can’t resist but relish the house’s prime rib. Seasoned, seared, slowly roasted and served with an alternative of creamy horseradish sauce and au jus, it is a decent Wednesday best-seller that nailed my appetite. With freshly baked bread and sweet wine to go along with the juicy meat, you’ll surely find this smothering cuisine a divine gastronomic indulgence that would entice you to come back. so, if you were eyeing for a delectably satisfying steak treat, try it out. The prime rib is also a good deal for the price. And, you might consider trying the house’s other lavish selections. Personally, the place is one of the best steakhouses I have tried in the city. This entry was posted on September 30, 2013 at 5:43 pm and is filed under Gastronomy with tags Appetizing Treat, Food Trip, Mouth-watering Cuisine, Prime Rib, Steak. You can follow any responses to this entry through the RSS 2.0 feed. You can leave a response, or trackback from your own site.